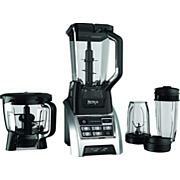 The Ninja Mega Kitchen System is perfect for frozen blending, food processing and nutrient- and vitamin-extraction. 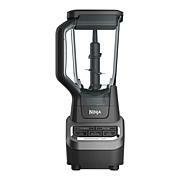 Total Crushing Technology delivers unbeatable professional power with blades that quickly pulverize and crush through ice, whole fruits and vegetables. 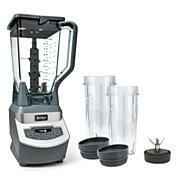 Blast ice into snow in seconds, and blend your favorite ingredients into delicious sauces, dips and smoothies! 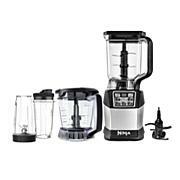 With a generous capacity this food processor even handles all of your chopping and dough making needs. 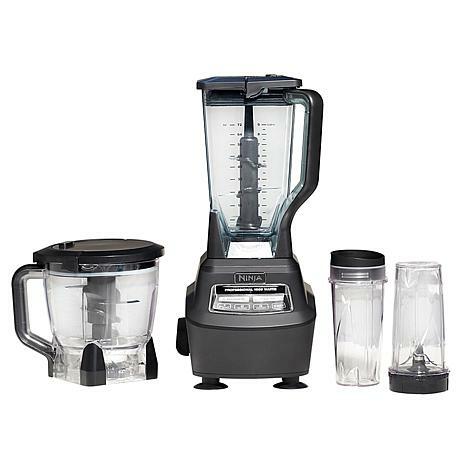 The dough blade allows you to effortlessly mix 2 lbs. of dough in 30 seconds!